Lescay (Alberto Lescay Merencio) #8029. Untitled, ND. Ink on paper. 11.5 x 7.5 inches. Alberto Lescay Merencio graduated with a degree in Painting in 1968 from the “José Joaquín Tejada” Fine Arts Workshop; In 1973 he added a degree in Sculpture from the “Cubanacán” National Art School. He became an Art Professor in 1979 at “Repin” Academy of Sculpture, Architecture, Painting and Graphics in San Petersburg, Russia. 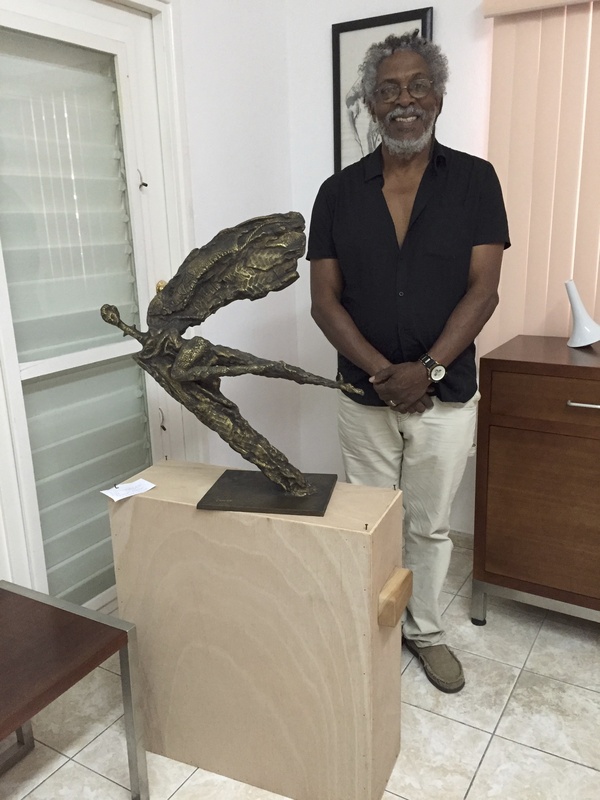 Lescay now keeps a studio and his foundation, The Caguayo Foundation for Monumental and Applied Arts in Santiago de Cuba, Cuba. Lescay and his son Alejandro had an exhibit at the Center for Cuban Studies/Cuban art Space in 2017. Lescay (Alberto Lescay Merencio) #6320. Untitled, 2012. Watercolor on paper. 14 x 22 inches. Lescay (Alberto Lescay Merencio) #8095. Untitled, 2012. Ink and charcoal on paper, 27" x 20 inches. Lescay (Alberto Lescay Merencio) #6319. Untitled, 1996. Watercolor on paper. 13 x 4.5 inches. Lescay (Alberto Lescay Merencio) #7067. Untitled, 2002. Lithograph print. 12.5" x 8.5 inches. Lescay (Alberto Lescay Merencio) #7063. Untitled, 2013. Mixed media work on paper. 10.5" x 7."